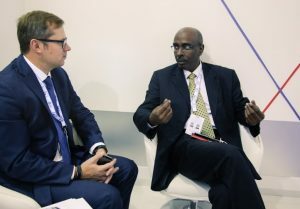 The group of companies Viatech represented by LLC SONOTEH and LLC CUT-Service presented a unique technology for the restoration of well productivity at one of the world’s largest oil and gas exhibitions – ADIPEC-2017, which was held from 13 to 16 November in Abu Dhabi, UAE. The technology of ultrasound treatment (also called AWS – Acoustic Well Stimulation) on the bottomhole formation zone is unique in its way, it allows both to restore the well productivity by reducing the skin, and to increase the productivity of wells with high viscosity oil, reducing the viscosity in the near-wellbore formation zone and increasing the drainage area of the well. 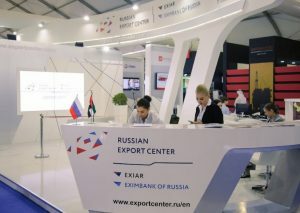 The stand of the company was located in the zone of the collective exposition of the Russian Federation, organized with the support of the Russian Export Center. 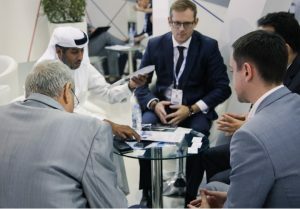 Within the framework of the event, there was an extraordinary interest in technology in the international market, meetings were held with partners from the United Arab Emirates, Oman, Saudi Arabia and Romania, which confirmed interest in conducting pilot-industrial testing (trials) of technology in these countries. Representatives of many other countries that have shown interest in technology continue to work with specialists from the Viatech Group for better understand the specifics and conditions for the applicability of the technology. 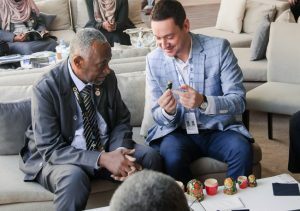 Moreover, management of the group held talks with the Minister of Oil and Gas of the Republic of Sudan, at which the parties confirmed the importance of pilot industrial works that began in the region in 2017! meetings were held with partners from the United Arab Emirates, Oman, Saudi Arabia and Romania, which confirmed interest in conducting pilot-industrial testing of technology in these countries.